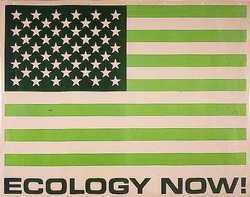 This exhortation has a strange ring to it now, and it is likely that no one under the age of fifty ever heard it, but the image above is a poster of an actual flag created by the activist organization Earth First that spun off from the Sierra Club in about 1970. It is interesting that they chose the flag as background because probably the prior change of this magnitude in the human world view was the nationalism that emerged in the 18th century. Ecology Now! was the mantra of an ethic being born. Maybe it was the sheer size of the boomer generation. Maybe there were lots of reasons for generally bustin’ out new stuff back then, but the concept of studying biology in the form of unified systems was pretty new, and what we think of today as a university department and potential major was then a new holistic conception that the entire planet might be considered an organism. Gaia, although not so named back then. Holism was being explored on many different levels. The social insects and their amazing command and control apparatus were likened to unified organisms. There was a reaching out to study all human religions as if by understanding them all we could somehow define the whole of religion and the whole of life. It is a beautiful ethic that has stood the test of time from when postage stamps were six cents. We must save our cities, soil, air and water, but to do so we must also save our fire. Save our fire? We need to extend the concept of holism full circle to include ourselves. We humans are entirely natural. We did not create ourselves. We grew from the same soil, air, and water as all the organisms we share the planet with. We used fire to create cities. It is our nature, and the cities must be saved. We have received a mysterious endowment of hydrocarbons, whether the more from decayed predecessors or bacterially modified mineral methane we can’t yet be sure. We can burn through this endowment like trust fund teenagers, scattering our packaging into continent sized plastic vortices in the oceans, or we can manage it to transition to a truly sustainable future. But burn it we will. We don’t have a lot of room for error, but unfortunately the scientific community has made a very significant error and wasted enormous resources in its focus on Carbon dioxide as a serious risk to the planet. The combustion of hydrocarbons produces more water than Carbon dioxide and may well be that whatever slight warming we have caused is from adding the water to the air. We simply can’t afford to vilify gasses we exhale with every breath. We can never snuff the fire. We need fire to scrub the truly dangerous combustion byproducts from our furnaces. We need fire to collect and recycle our packaging. We need fire to develop new technology and infrastructure, and we need a lot of fire to allow the developing world to build a decent standard of living. 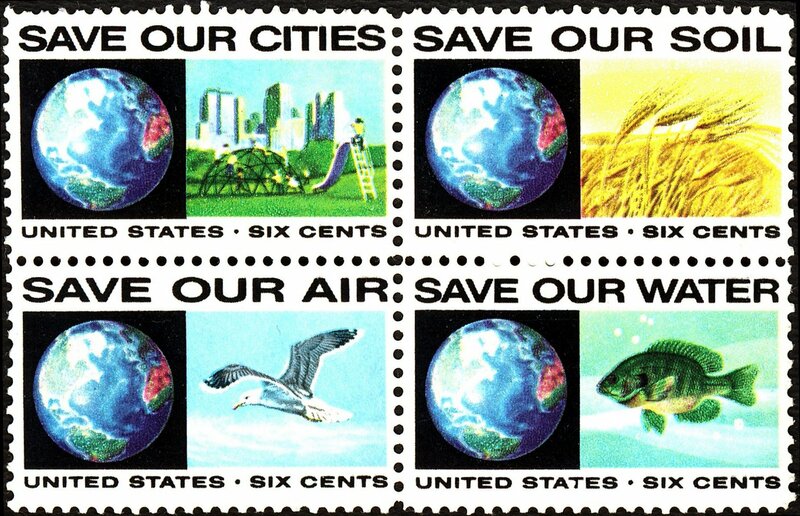 So save our cities, save our soil, save our air, save our water, save our fire, and save our planet. This entry was posted in Anthropology, Biology, Climate, Ecology, Ethics, History, Religion and tagged Ecology now, Gaia, Holism, nationalism, Save our fire. Bookmark the permalink.